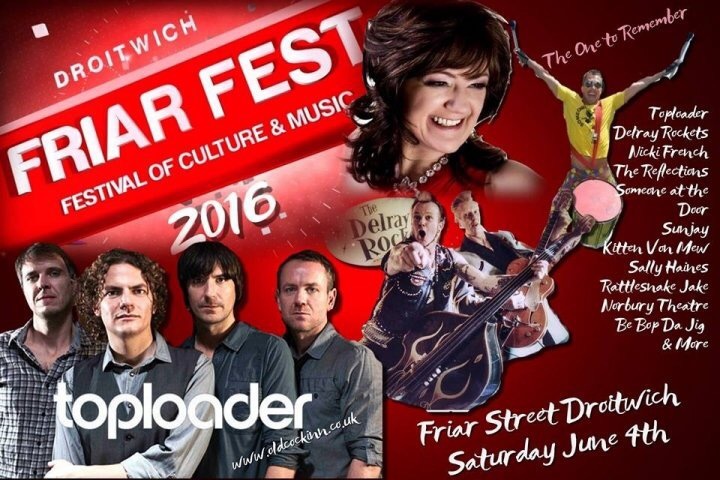 I will be performing at a fantastic festival in Kent on 2nd July! 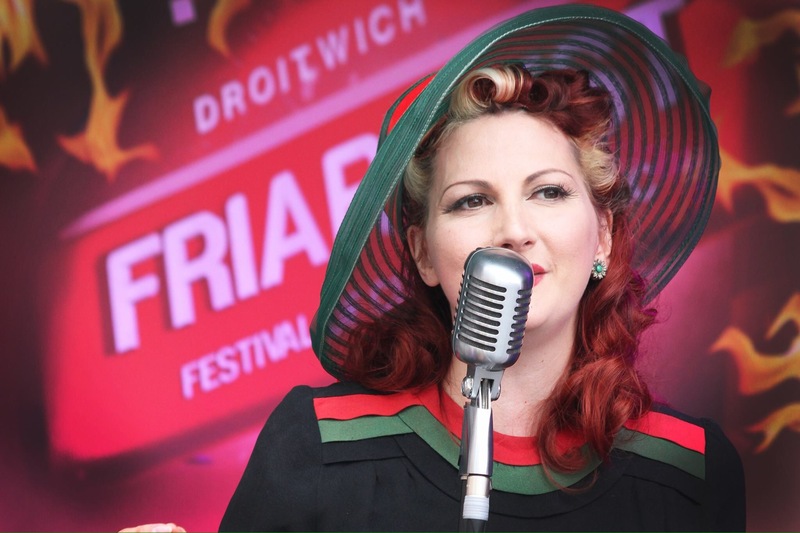 It focuses on the 40’s to the 80’s, with live music, fashion, cars, vintage stalls and more! 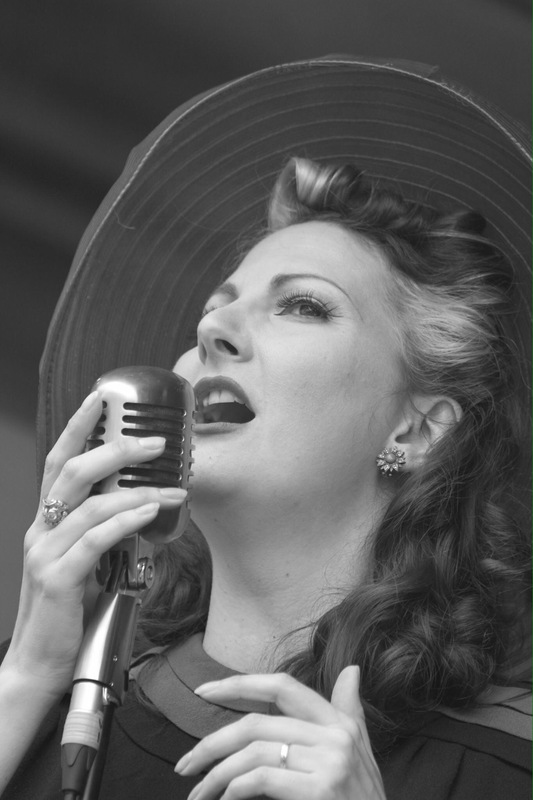 Come and watch some of my 40’s singing and a family friendly fan dance! Don’t be shy I’m asking for photos with my fans too, I may even teach you a few moves! 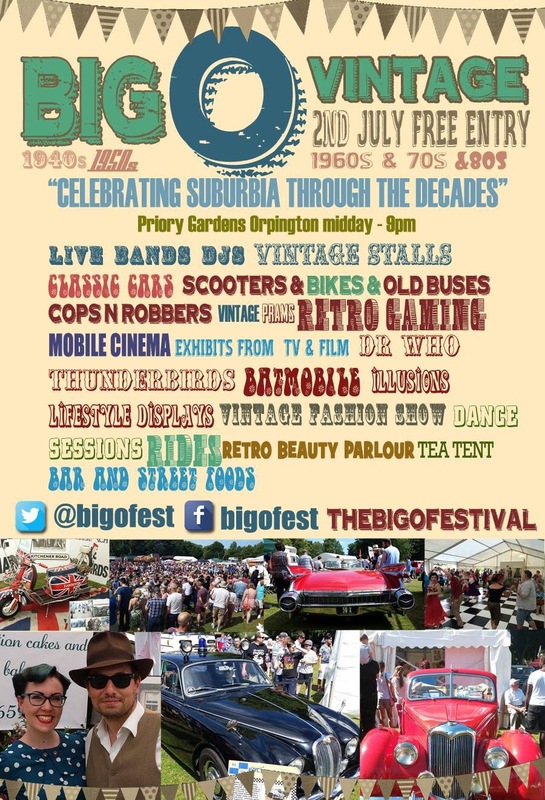 The Big O Fest is FREE, so come and support a wonderful and diverse vintage event. Posted in Events and Performances and tagged big o festival, kitten von mew burlesque, the big o, thebigofest, vintage events, vintage festival, vintage singing. Bookmark the permalink. 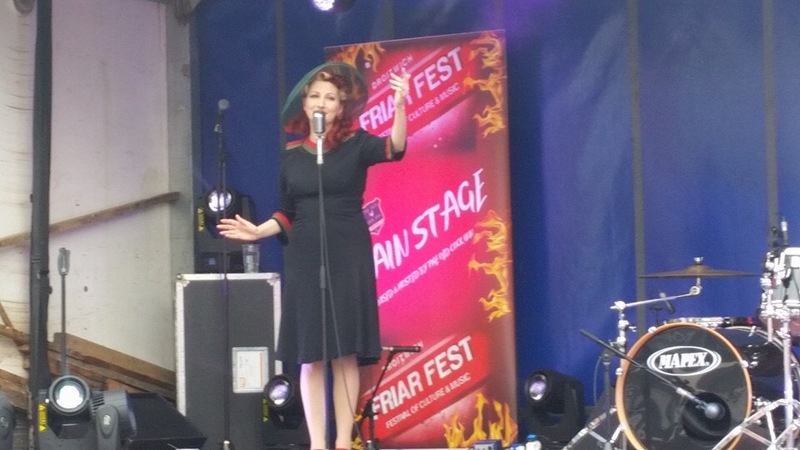 Thank you to everyone at Friar Fest for making me feel so welcome! Lovely crowd singing along, very helpful organisers and superb sound team (big up to their posh coffee machine!). We had a wonderful time and wish we had been able to sample the food stalls as those stonebaked pizzas looked incredible! 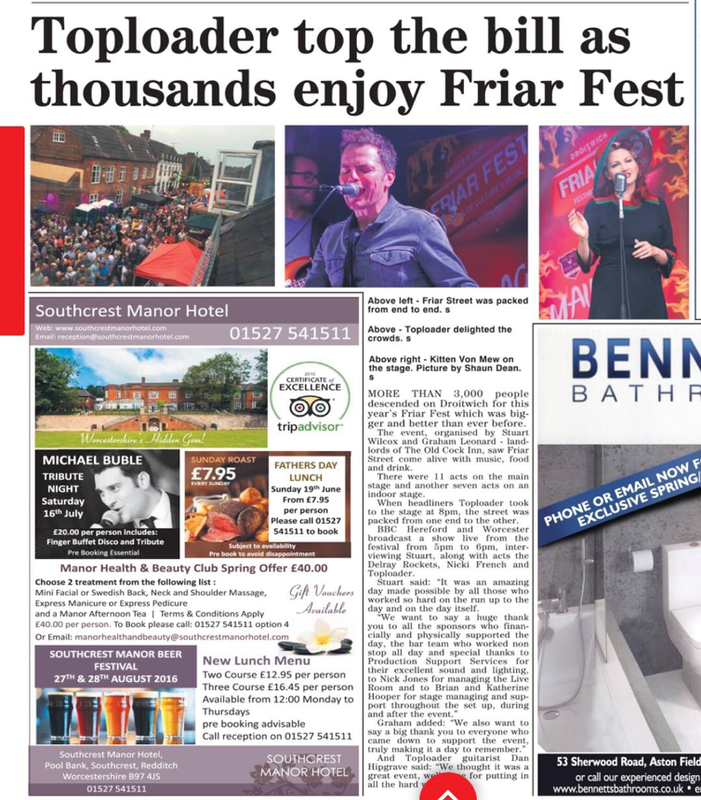 Posted in Events and Performances and tagged 50's singer, droitwich events, droitwich standard, friar fest, friar street festival, friars fest, kitten von mew, sean dean, sean diane vickers dean, vintage singer. Bookmark the permalink.